A friend is going through a grueling time with an ailment that required emergency surgery followed by more surgery. She apologized for “whining” so much on Facebook about the miserable funk she’s in, attributing her “epic whine” to her brain being warped by morphine. “I never wanted to be an old lady complaining about her ailments,” she said. I gently chided her for this, noting that what she dismissed as “whining” is not whining. That is, call on your friends and loved ones and let them know you are hurting. Without actually asking for support, she signaled to Facebook friends who love her and care about her that she needed their help. But all she had to do was ask. Other friends gently chided her as well, assuring her that she had nothing to be ashamed of, nothing to apologize for–and good for them! She’s blessed to have such friends. But this is a typical mindset of caring, giving, unselfish and compassionate people–and my friend is all that and then some. They will be there for you in your time of trouble with their thoughts and prayers and words of support, if not their presence. Just as you will be there for them. Yet when they’re laid low by illness or injury or depression and grief, they don’t want to trouble anybody. They don’t want to be Wendy Whiner. My advice as a pastoral-care minister has always been this: when you need help and support, ask, and you shall receive. 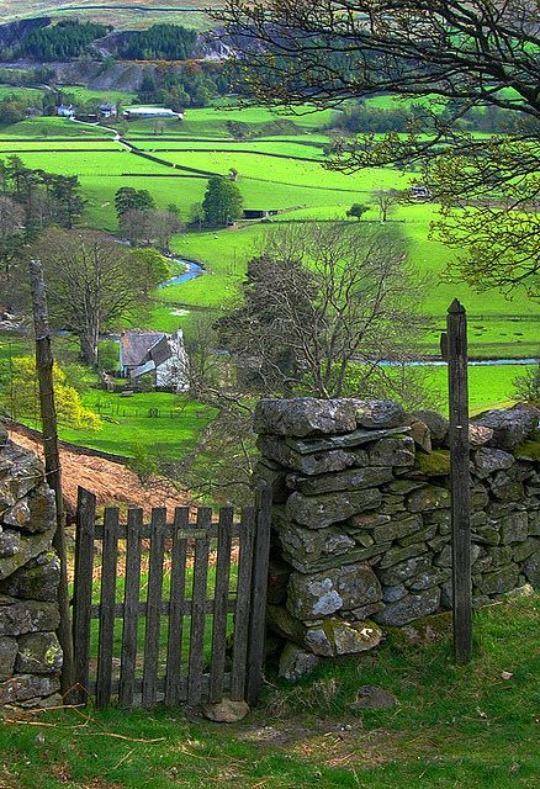 Knock, and friends and loved ones will open their doors (hearts) wide open to you–just as you would open your door (heart) to them. That’s not being a whiner. That’s healthy living. 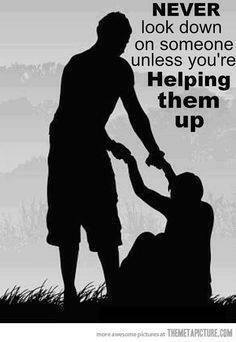 That’s not being selfish. That’s taking care of yourself. That’s loving yourself as much as you love God and others. If you’re on fire, you’ll going to call 911 for help, right? You’re going to trigger the siren. If you’re feeling like you’re on fire, you don’t suffer in silence, not wanting to trouble everybody or come off as a whiner about your woes. No, you sound the alarm, call for help, raise the SOS flag outside your house. The grief wrought by illness–or grief wrought by everything from marital discord to the teenager in your house who’s had his or her brain kidnapped by aliens–finds relief only through the Friendship and Family Sharing Channel. Maybe there should be such a TV cable channel devoted to the dynamics of grief and how to process it in healthy ways. God knows we have enough access to mindless Foodie Channels in the TV wasteland, with adults and children alike competing in constant cupcake contests. A portion of my book is devoted to the many kinds of poverty there are in addition to material poverty. Sickness, for example, catapults us into “emotional poverty,” making us poor and vulnerable and needing a hand up from friends. I went through an especially hard time last year dealing with a Belizean family that tested (and continues sometimes to test) my faith and patience to no end. They are wonderful people, as Belizeans are all in all. I love this family and care about them all, and they are good to me 98 percent of the time. But they are also uneducated, poor, and so dysfunctional as to be prone to fits of irrational anger and potential violence when things go terribly wrong in their lives. One day last year they turned their pain and grief over the death of their 54-year-old mother on me, in the form of blind rage and potential violence. Trust in God’s tender mercies–and friends and loved ones. We’re all vulnerable, especially in the poverty of illness. Violence is pain and depression turned inward and expressed outward and poverty breeds pain and depression, among other nasty ills. And with that, I summarized the scary situation I was in, sharing up-front the fact that I was feeling lonely and isolated. That’s to say that I shared exactly what I was feeling with friends and loved ones. Sharing my fear and grief with loved ones back in my beloved American homeland, in a pressure-packed situation, was a relief. This liberating relief came from the flood of responses from folks who responded to my pleas for prayer and support–they came through because I asked them to come through for me, because I think they know I’ll come through for them, and have for many of them and will. 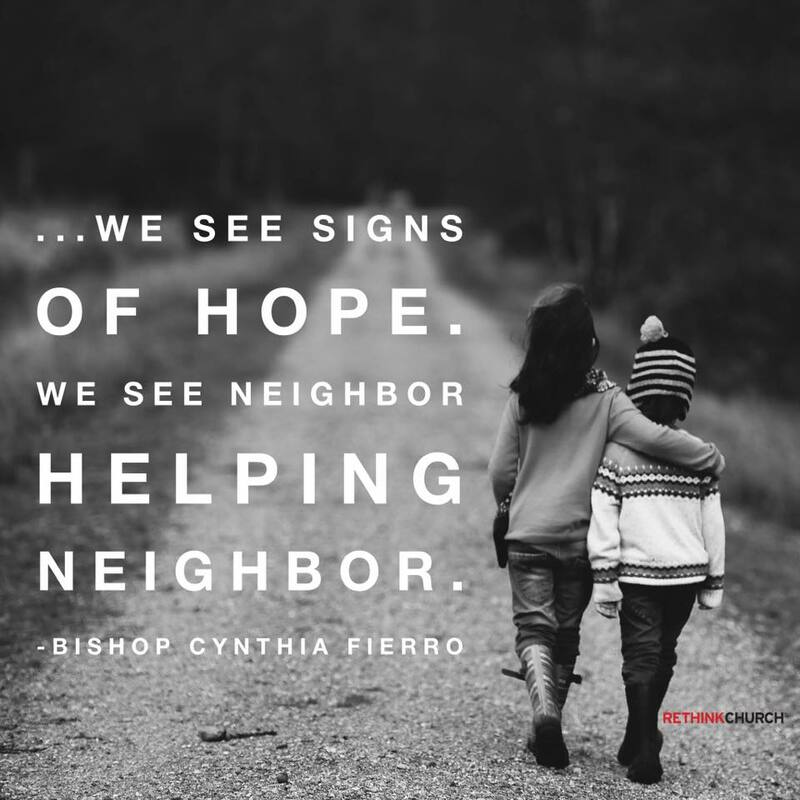 Wise words from a United Methodist bishop. What are friends and neighbors for if not to call on when we’re sick and vulnerable and maybe in a pain funk? Social media, to which I’m undeniably addicted (three days and withdrawals set in)** is shot-through with crap and downsides aplenty. But so is every communication tool. Television is so entertaining, educational, informative and oh Lord so wonderful and great. TV is one of the best things ever created. We’ve all been addicted to it from childhood, except for the oldest of old timers among us who grew up before it. Yet as with TV, I’ll take Facebook’s downsides with the wonderful upsides. One of the upsides of Facebook, even for the occasional drop-in social media user, is that it’s a wonderful way to speed-dial Grief Busters when you need help and moral support and prayers and encouragement and the assurance that people love you and care about you. Friends and operators are always standing by to take your call. * Of course, I’m often astounded at how unsophisticated educated and well-to-do people are in processing grief in healthy ways, preferring to get pissed off at family rather than acknowledge the pain of sorrow. But that’s another story for another day. **My first-born daughter gave up Facebook for Lent and is alive and well and reports she doesn’t miss it. My youngest born daughter got off Facebook altogether. She grew up on Facebook. She quit cold-turkey. My only son has never been much on Facebook. Gee, what is wrong with these young people today? 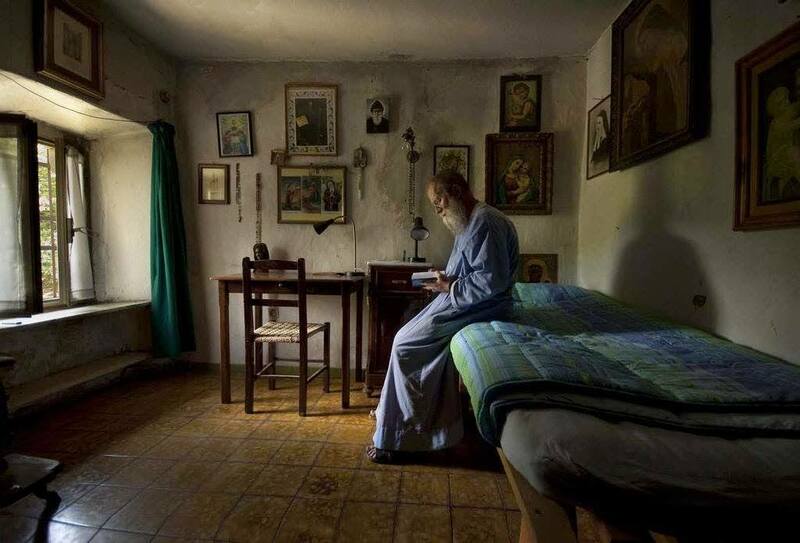 “To be poor in spirit is to keep up with Christ, not with the Joneses.” — Quote from The View From Down in Poordom about what it means to be poor in spirit. 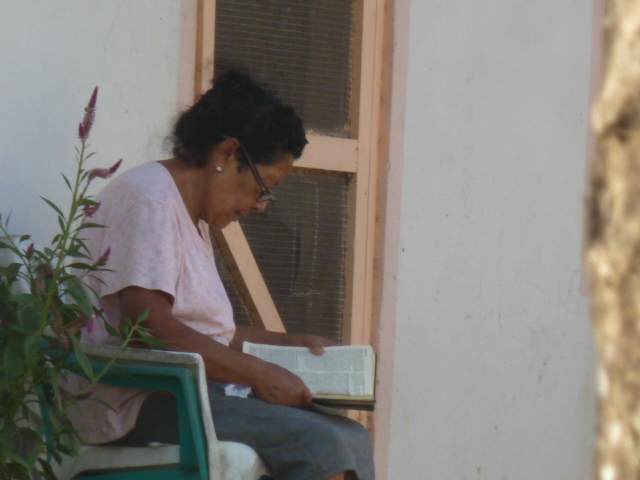 PICTURED: A spiritually rich Belizean woman on her porch reading the word. The View From Down in Poordom is available for purchase online at Amazon.Com here, Barnes & Noble.com here, and here at WestBow Press. Material poverty is easy enough to understand, especially when it rises to the level of destitution. It’s a terrible and undesirable human condition that stems from a lack of resources to meet basic human needs. Happy are those, that is, who abide in spiritual poverty. This biblical call to imitate Christ in servanthood and humility, by keeping ourselves emptied of natural desires for things of the corruptive world and open to the love of God and neighbor, is in effect a call to spiritual poverty. Poverty is a word used so commonly to denote a lack of money and resources that we lose sight of its ambiguity. This delightful nun said that when she gets in such slumps, she prays these words: “Lord, please accept the poverty of my prayer life.” The acknowledgment of such “prayer poverty” unlocks the guilt and anxiety over what we fear is our failure to somehow communicate perfectly with God. Never mind that God is not grading our prayers with As or Fs anyway. If we only take the time to sit still and lean back in the arms of God, He hears even our poorest attempts at speaking to Him. My point is that the concept of poverty can be applied to many and varied conditions. Mother Teresa, for example, lamented what she described as “poverties” of morality and of spirituality itself in affluent Western societies, where people think they are so god-like that they don’t need the true God. She also spoke often of such poverties as loneliness and alienation suffered in wealthy nations. Rich or poor, we all go through periods of illness or depression in which we suffer from “emotional poverty.” That kind makes us feel dead inside, disconnected from all the normal things in daily life that have nourished our holistic health and well-being. . .
. . . I mentioned in the introduction to this book that my beloved Aunt Newell incarnated what it is to be poor in spirit. That’s because, as I noted, she was a servant whose inner being was so thoroughly bent toward pleasing God as to be detached from the corruptive things of the world. She was perhaps the most devout and humble Christian I ever knew…. We now know how important constant movement is to our health and well being and so, at the 2 minute, 46 second point in this vid, git up and get those Jitterbug legs shakin’. For all those suffering from cancer this morning, Lord in your mercy… hear our prayers. I’ve lost count at this point of the number of my friends and loved ones who have died or been confronted with cancer in the past six months alone. What an evil disease it is, mysterious in the way it randomly undercuts the health and vibrancy of people of every age and ethnicity. Our Lord provides us plant life, by the way, that has given us medicines and cures an relief for many cancers and so many other diseases. But because we inhabit a living, breathing planet, that planet can be a dangerous place. We have to live with the beauty and glory along with danger and evils that include disease. God’s created a good, green planet that provides all our needs, and yet because it’s a living, breathing planet it comes with dangers. Years ago when I was a hospice chaplain I had a young patient who was a rodeo bronc rider with a lot of promise as a pro. He was a wonderful Texas gentleman, as quiet and soft-spoken as he was fearless. Not the cocky, swaggering cowboy type at all, but all cowboy for sure. Within six months of a cancer diagnosis he was dead at age 27. He was his mother’s only son and thus the only grandson of a wonderful Florida couple. I became very close to a lot of families of hospice patients. Any pastor or hospice caregiver will tell you that walking with folks at the end of someone’s life tends to create an immediate, intimate bond, even if the folks you’re caring for were strangers to you just last week. The family of this young cowboy I walked with is one of the few families with whom I’ve remained in constant contact since I was in hospice care in the Northeast Texas Piney Woods, back in 2009-10. Today, the cowboy’s mother Angela is having her first round of chemo for cancer. Her Floridian parents, Maxine and Red, have been at her side for weeks now, fearful that having lost their beloved grandchild, they’re in danger of losing their beloved daughter. In an email update this morning the mother asked me to pray because she is scared for Angela. I’m thinking of Angela and all those struggling through cancer this morning and can share this prayer I sent them. I thank you and praise you for Angela this morning. I ask that you be with her and touch her with your healing powers of endless love, extravagant grace and tender mercies. Be with her doctors and nurses and caregivers. Work through their hearts, hands and skills to restore her and bring her to wholeness and health. I ask that you be with her mother Maxine and father Red. Keep them breathing in the comfort of your loving arms. Lord I’m thinking this morning of all those many people everywhere suffering the fear of cancer and cancer treatments today. We know that you don’t cause suffering, Lord, but rather that you walk with us through our darkest valleys of fear and pain. For that we thank you and praise you. I lift up to you my friend Angela and her family and all those suffering from cancer and fear this morning, asking that you keep them wrapped up in the full measure of your healing, calming love. I ask all these things in the name of Jesus Christ my Lord and savior. For a couple of years when I was in seminary I was also an associate editor of the now-defunct United Methodist Reporter. It was there that I became fast friends with another editor named Bill Fentum, and a United Methodist preacher who worked in the communications department named Keith Head. Chapters From The View From Down in Poordom, available for order online at AmazonBooks.com, Barnes & Noble, and WestBow Press’s Christian bookstore. I’ve mentioned here before that Keith is a man of multiple gifts and graces who applied his artistic gifts in illustrating my book The View From Down in Poordom: Reflections on Scriptures Addressing Poverty. 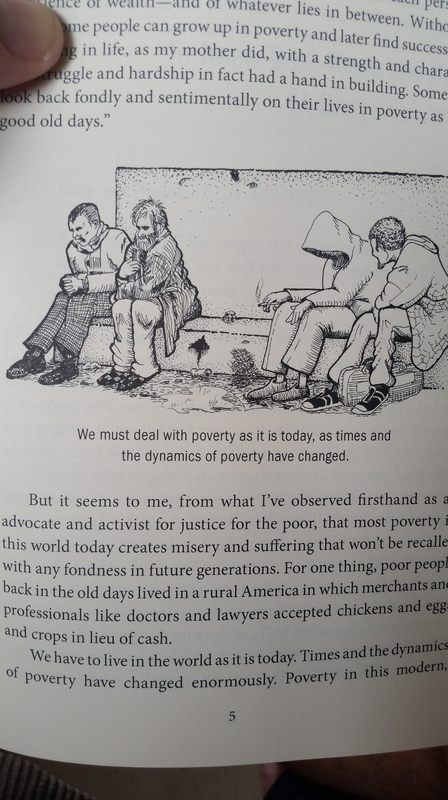 The View From Down in Poordom is a succinct, passionate book with vivid messages that could apply to any era, but seem especially relevant to our world today. Solidly based in scripture, it conveys God’s call to ministry with (not “for”) the poor—to step out of our comfort zones and be not only ministers and advocates but friends to those in need, in and beyond our local communities. I’ve known the author, the Rev. Paul McKay, as he moved from a long career as a news reporter to life as a hospital chaplain and ordained United Methodist deacon, now living and writing in Belize. Simply put, this book, with fine illustrations by the Rev. Keith Head (also a UM pastor), is like a good conversation with Paul: honest, unfiltered, insightful, and eminently persuasive. A number of people who’ve read the book have pointed out how relevant it is (as Bill mentioned). It is on the market at a time when we’re seeing budgeteers in D.C. proposing what I have to say, with unfiltered emphasis, are cruel, draconian and needless funding cuts. I didn’t write this intentionally concise, 108-page book of mine as a polemic; it’s not a political diatribe. But I don’t shy away from condemning the self-starting hypocrites in Washington who feather their own nests at every turn while thumping 20-pound Bibles and knocking each other over to get filmed and photographed at the National Prayer Breakfast for their spin doctors to send back home. Then again, I don’t shy away from condemning churches of all or no denominations for their failures to do more to be the church of a Creator and Redeemer who not only urged but commanded that we get to know the poor up-close and personal. What follows are a few excerpts from the section on material poverty. 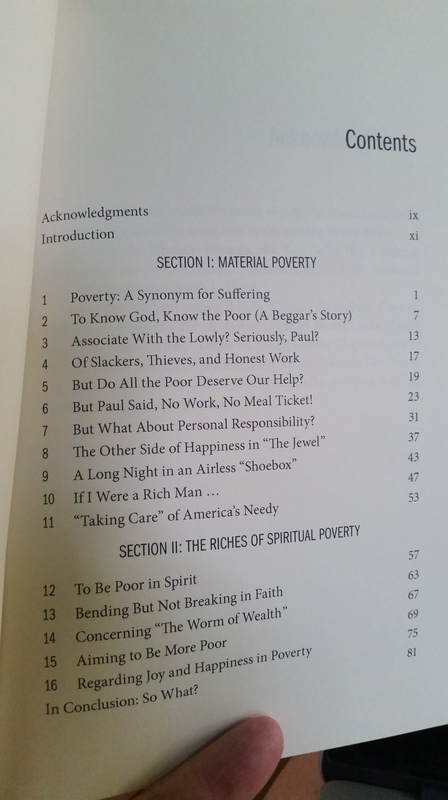 I’ll be sharing more from that section and the second section of the book, which delves into the meaning of spiritual poverty in its many manifestations. My hope is that Christians and people from all faiths or no faiths will read and share and discuss the book in Sunday schools, Bible studies or book clubs. I think there is plenty in it to stimulate lively discussion and reflection among folks no matter what their political, philosophical (Jesus was a philosopher, you know) or theological bents may be. But it seems to me, from what I’ve observed firsthand as an advocate and activist for justice for the poor, that most poverty in this world today creates misery and suffering that won’t be recalled with any fondness in future generations. For one thing, poor people back in the old days lived in a rural America in which merchants and professionals like doctors and lawyers accepted chickens and eggs and crops in lieu of cash. We have to live in the world as it is today. Times and the dynamics of poverty have changed enormously. Poverty in this modern, heavily urbanized world of spiraling income inequality diminishes a person’s holistic health and well-being to such an extent that it causes premature death, crime, escapism into alcohol and drugs, and so many other forms of evil. We Christians can accept and shrug off social injustice, poverty, and all the suffering in the world with the attitude that that’s just the way it is. Or we can strive to be like Jesus: refuse to accept the unacceptable, speak up, and speak out. 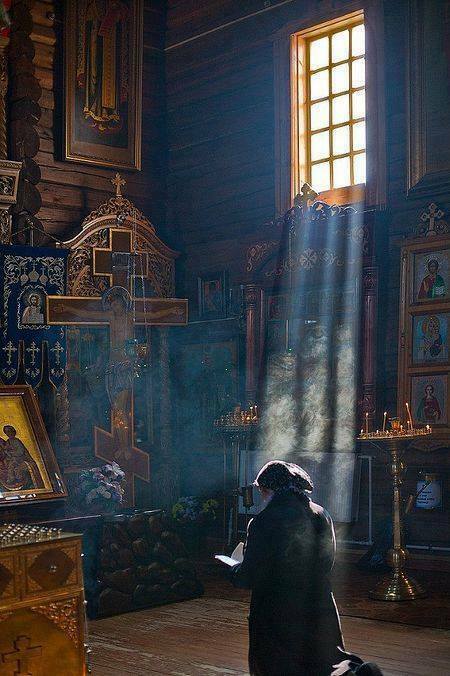 If you want to know God, you have to know the poor. But don’t take my word for it—take God’s word. God was speaking of the charitable King Josiah in saying that the good king judged the cause of the poor and needy. Other translations say Josiah defended the poor and needy, but the fact remains that Josiah cared about the poor and also cared for them, and for that reason, all was well with him. Then, in what is quite a stunning statement from our Lord, God suggests that to know the poor and needy, to care for the poor and needy, is to know Him—to know God Himself! It’s stunning because of our tendency to think of God in such intellectual or emotional terms. We tend to think that to know God we have to have the right beliefs and practice the right spiritual disciplines—such as fervent prayer, Bible study, worship, tithing, meditation, and maybe fasting. Without a doubt, there’s no knowing God in the fullest without the right beliefs and works of piety. But it behooves us to remember that even Satan and the demons believe in God (James 2:19). We can’t know God in the fullest if we exclude works of mercy—if we neglect or shun the poor rather than knowing them. One Sunday after church in Belize, I was driving home when I saw a homeless invalid, a local beggar that I used to walk or drive past without, most of the time, giving him a second look. Although I occasionally gave him some food or money in passing and always gave a heartfelt “God bless you” greeting—which he seemed to much appreciate—he might as well have been invisible to me and the many motorists and pedestrians who were passing by him as he sat in his wheelchair on a corner sidewalk at one of the busiest intersections in town. These are hard times for the poor in America. As if it weren’t hard enough for them to be down and out, the poor are now bashed in unprecedented ways in the political arena and culture war zones. As if it’s not bad enough to be presumed lazy—or blamed for being poor and scapegoated for all of America’s economic woes by politicians and others with agendas and selfish interests to protect—too many Christians find unique ways to dehumanize, demonize, and denigrate the poor. Never in anything that Jesus ever did or said did he so much as hint that the poor are to blame for their own plight. Nor, of course, did the Son of God (the Son of Love) ever demean or denigrate anyone living in the margins—the margins being right where he lived and taught and empowered the powerless. Dorothy Day once opined that the gospel takes away our right, forever, to discriminate between the deserving and the undeserving poor. In support of Day’s opinion, one only has to consider the parable of the Prodigal Son—that rich kid and “good-time Charlie” who made bad choices all the way to a rancid pigpen (see Luke 15:11–32). 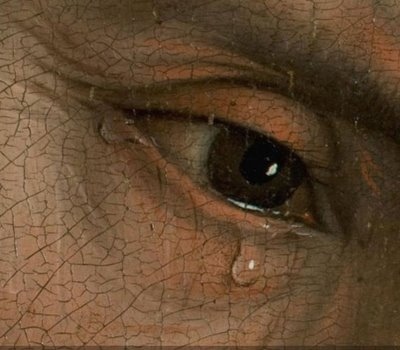 It seems as obvious to us today as it was to that lost son’s brother—who stayed home with his dad and worked while his brother sinned away his inheritance—that the party-boy-turned-poor-boy didn’t deserve his father’s love. Yet the father literally ran out and greeted the undeserving son with loving, open arms. … All that said, there is such a thing as poor people who game the charitable systems of the church and the state, too, which I’ll address later. As long as there are broken, sin-tainted people in need of God’s grace, I’m sure the shady and shiftless poor will be with us as well. But there’s also such a thing as greedy, me-first, sin-tainted wealthy people who use their power to game government systems to feather their own nests. These people have overrun Wall Street and D.C. It was their power games, not gaming by the powerless poor, that in 2008 caused the biggest and most painful economic crash in the U.S. since the Great Depression. Meals be damned! Keep the defense wheels rolling! How is it that ultra-conservatives always and forever find enough money for defense spending that continues to give us the likes of the F-35 fighter jet: an epic boondoggle of massively expensive proportions that our tax dollars keep feeding? With his Slash and Burn Economics, President Trump has proposed an increase of $54 billion in defense spending while drastically cutting funding for, well… everything! 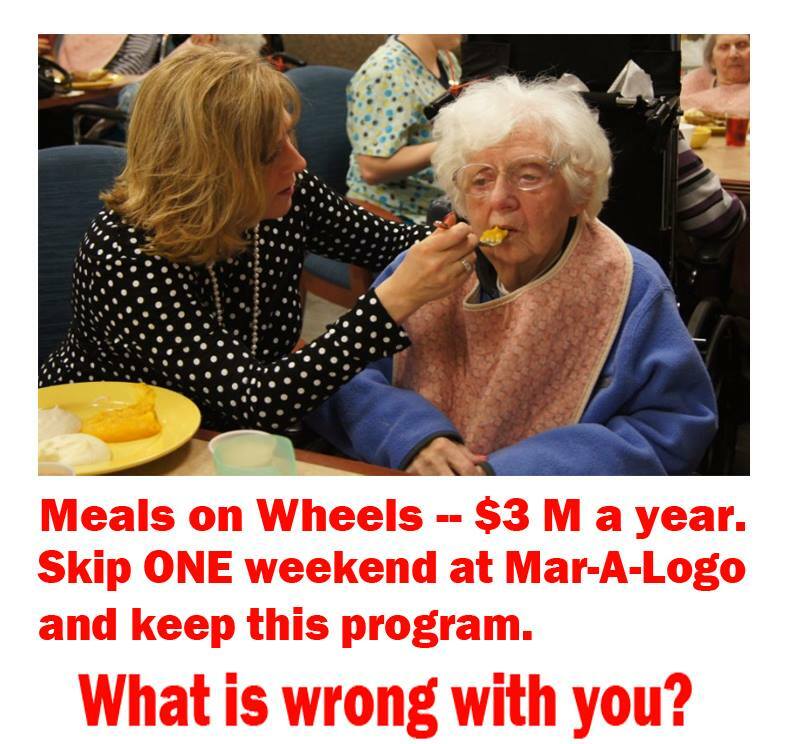 Above all, anything that might benefit low-income seniors like Meals On Wheels, which got trashed by Trump’s budget director Thursday, and at-risk children programs that work (contrary to what the budget director said). Donald J. Trump’s budget cuts virtually all funding for the humanities while spending billions on the inhumanities. It doesn’t seem like Donald J. Trump needs to increase the defense budget so much when he’s only declaring war on the poor, the sick and the elderly. Indeed, this is takes The War on Poverty and transforms it into The War the Most Vulnerable–the people that Jesus stood in radical solidarity with. 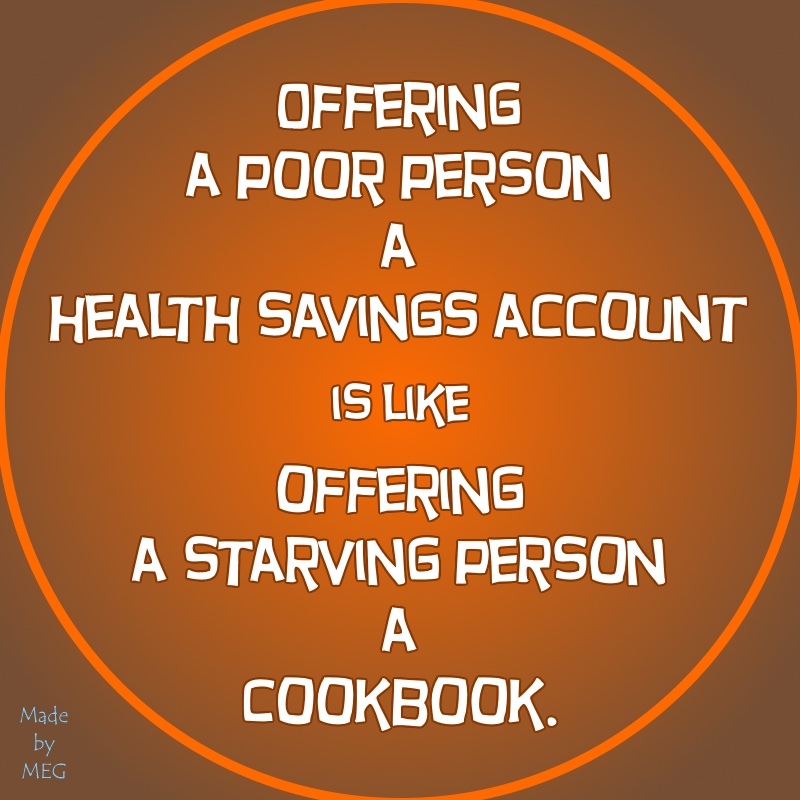 As if the poor can afford to save money for their health care as the Obamacare replacement proposal presumes. So if we have to deal with the nation’s runaway spending and $20 trillion debt–which I agree wholeheartedly has to be dealt with–we don’t have to do it on the backs of the poorest and most vulnerable. And this while those who make Trump money will make out, as usual, like bandits from his health-care plan and tax cuts. Along with the military industrial complex that the prophetic President and war hero Dwight Eisenhower warned of when I was 7 years old. 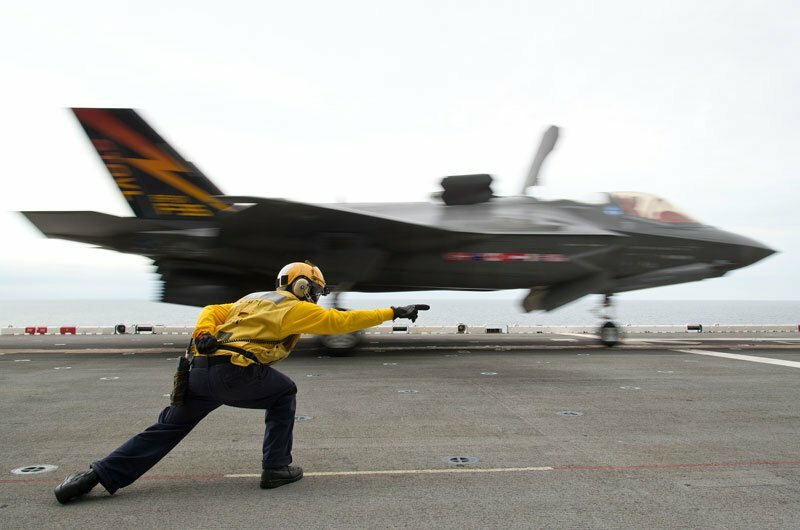 Navy pilots hate this machine, which has a 20-year history of expensive problems. Ike’s warning was a lot of years and a tremendous amount of wasted tax dollars ago. The U.S. already spends more more on its military than China, Russia, Saudi Arabia, the United Kingdom, France, India, and Germany — combined. *I make one passing reference to President Trump in my book The View From Down in Poordom: Reflections on Scriptures Addressing Poverty. That single reference is in the context of a few words comparing him to a compassionate billionaire worth multiple billions more than the President. But the book was written largely, though not entirely, in response to the Trump mentality that leads to bashing and scapegoating the poor for all our economic woes–as I point out in the Introduction. The good thing about Trump, from where I sit, is that he’s made my book so timely and relevant. Bookworms who take advantage of Barnes & Noble discounts can order the The View From Down in Poordom online here. 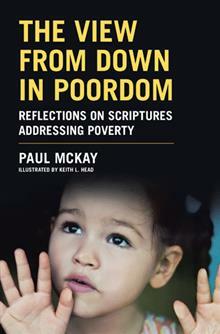 What follows is a 1,000-word sampling of my book The View From Down in Poordom: Reflections on Scriptures Addressing Poverty. It’s illustrated by my friend the Rev. Keith L. Head. You can buy the book online at Barnes & Nobles here. Also, at Amazon or at WestBow Press the online Christian bookstore here. And oh, by the way: I make the point in this chapter that nowhere in the scripture does Paul suggest that it is poor people being lazy and living off the work of the productive Christians. I make the point in the book that while yes of course a lot of poor are lazy and lacking initiative and living off the sweat of others, so are a lot of rich people and all kinds of people. The early Christians that Paul admonished to work for their food weren’t at the mercy of investors who made their livings moving massive amounts of “paper money” around in markets on almost every continent. The government (that is, the Roman dictatorship) wasn’t bailing out banks, mortgage companies, or behemoth corporations to protect the rich and powerful. The ostensible purpose of Wall Street is to finance the making of real things in a real economy. But at some point, Wall Street embraced economic instruments called derivatives while banks transformed into giant hedge funds that trade on their own accounts. These dubious developments in modern capitalism have been hard on people living in poverty or close to it and have, in fact, thrown many out of the labor pool and into the poverty pool. And consider our so-called “consumerist culture.” The early Christians weren’t caught up in a consumerist culture gone so wild that, in our age, shoppers literally stampede when giant retail stores open their doors on the very day set aside to give thanks to God for our blessings (Happy Thanksgiving, somebody say grace and pass the gravy!). Nor were the early Christians indebted to the hilt to credit card companies that seduced them with offers of easy money at (temporarily) low interest rates. As one who considers himself a genuinely “compassionate conservative,” I’m about to share an opinion in italics in order to emphasize where I stand: Yes and a thousand times yes: of course the able-bodied person in our time and in all times should work and pull his own weight in order to eat. And of course: feeding the hungry should not be the responsibility of faceless bureaucrats overseen by politicians who create dependency by taking money from those who have it and giving it to those who don’t. But tell that to the poor person who works his or her fingers to the nubs only to have the electricity cut off in a heat wave because their paycheck was spread too thin to cover the exceptionally high bill. Tell it to the head of a household working two or three jobs who is down to only a chunk of cheese in the refrigerator with payday still three days off. Or tell it to someone stuck in unemployment or a low-wage job because jobs in his or her field or home turf are few and far between in a capitalist society where economic booms and good times are often followed by busts and hard times. The argument that a worker who hits on hard times “can always move somewhere else and find another job” is easy enough to say if your job is somehow layoff-proof. In 2015, Walmart-the Big Daddy of American employment-announced that it was raising the minimum wage to $10 an hour. (Try supporting your family on that kind of income for a month.) Within a year of that announcement, Walmart in January 2016 announced the closing of 269 U.S. stores that threw 16,000 American employees out of work. One of those thousands who were laid off was a friend I grew up with in Texas. He had struggled mightily to support himself and his wife-who also worked a low-income job-and his two aging parents before the job loss. They were in no position to pick up and start over away from home. Many of those shuttered Walmart stores, of course, were in American towns and city neighborhoods where a Walmart job was the best opportunity for any kind of employment. To advise one of those anxious and worried workers who lost a job that he or she should promptly pick up and move would be unrealistic advice at best. Low-income workers living hand-to-mouth can’t save enough money to pull up stakes and move any time and to any place they want. What’s worse is that such advice adds condescending insult to the injury for someone whose heart lies in their lifelong home. The author and social justice advocate Barbara Ehrenreich wrote a seminal book years ago about the working poor called Nickel and Dimed: On (Not) Getting by in America. It was about her firsthand experience trying to make ends meet as a Walmart checker. Paul the Apostle made a virtue of working and earning in order to eat, but he also lived out the virtue of contentment, a virtue that, along with simple living, we’ll consider in the book’s spiritual poverty section and concluding chapter. Meanwhile, in the next chapter, let’s consider the cold, hard fact that slackers and those who play the system-including the church and its charitable ministries-do exist.